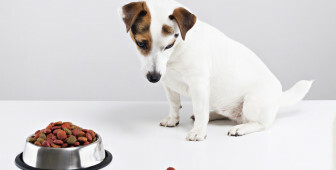 One of the traits of being a responsible dog owner is to know how to feed your dog. By that, we mean on nutrition and knowing the difference between good and bad food for your dog. Yams are one of the human's favorite food, and probably your dog loves a bite as well, no? But, for your dog eating dry yams is not the same as eating a canned one. One of them may be lethal. Learn which one and why. Nothing says home like candied yams and sweet potato. Having a warm bite of mom’s yams specialty bits every worry outside. The only thing that tops that feeling is having a canine buddy to welcome you at the door every day. If you are familiar with dog’s urge to see anything that they see you know the struggle. So, should you defend your yams from a furry buddy or let him have a bite? Or two. Read on and learn if it’s safe to leave yams next to your buddy. Yams and sweet potato are one of the top choices when it comes to choosing a goof that is rich in vitamins and fiber. Rich in fiber and vitamins for humans. 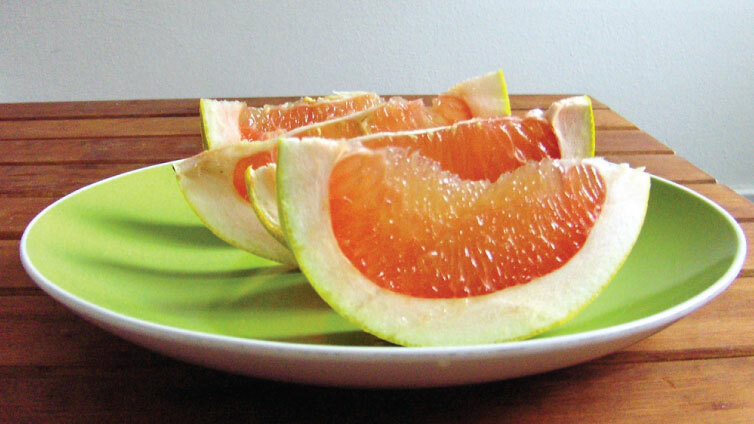 These doppelgangers are full of minerals, vitamin b6, and beta-carotene. 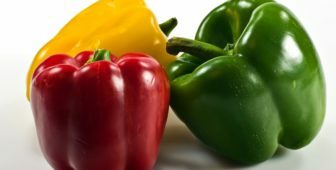 Beta-carotene is at first place considered to be naturally-occurring retinol or another word a vitamin A. Vitamin A is found in vegetables and certain fruit. 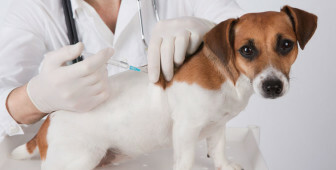 However, if something is good for humans is it equally good, and safe, for your dog? Can we get the same benefits from eating identical food? First thing first, can you say for certain that you know the exact difference between yams and sweet potato? If you do, that’s great for you. But, there are people who still struggle to distinguish these two. And how to know which one you can use and treat your dog if you are not familiar with differences, no? Traditional and fresh yams are a dry tuber grown in tropics. They grow from a vine throughout those areas, the tropics. Theis skin is rather dark and rough opposite to sweet potato. Pilling the yams is never easy, and their skin can range in colors from reddish to white. The chances are that you will see real yams in specially equipped stores because they are usually imported. Originally, 95% of yams are grown on the continent of Africa. Long story short, yams are cylindrical and less sweet. On the other hand, sweet potatoes are a staple crop from the Americas. You are probably used to see them in an orange-fleshed tuber with copper-brown skin. Or, you can see them with a soft, pale flesh with golden-skin. The golden option tends to be less sweet. Can My Dog Eat Yams? 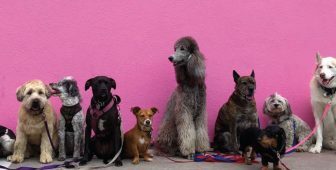 Firstly, if you are not sure about your dog’s nutrition and what is safe or not for him in general, maybe it would be a good idea to inform yourself better on topic – what food is bad for dogs. When it comes to your dog eating yams, both true and of the sweet potato option, you should know that yams are an excellent supplement to your canine friend meal. There is no difference if you serve them in small servings, cooked ones or unseasoned. Dogs love cooked yams. They see it as a snack. Important: Number of pet manufacturers include yams in their dog food. So, if your dog runs off with a cooked yam off your counter he will be fine. Even if he runs off with sweet potatoes, should be fine as well. However, beware if cooked option contains nutmeg, which is highly toxic for dogs. Luckily, yams roots and their skin are safe for pets to consume. Are There Any Benefits of Feeding Yams To My Dog? You would be surprised how much your dog can benefit from this food. The minerals found in yams are important for a range of important body functions including maintaining good bone health, nerves, and even immune system. Furthermore, a high level of fiber supports your dog digestive system. Firstly, yams are a great source of essential and additional minerals, including, Vitamin A, Vitamin C, iron, magnesium, and calcium. Your dog will boost his immune system with yams. Magnesium is vital for healthy bones, nerve function, muscles and overall maintaining normal blood pressure. Proper magnesium support is crucial to keep your dog active. Magnesium is important for the normal functioning of organs and organ health in general. Magnesium also assists in the absorption of minerals like zinc, calcium, and potassium. Also, magnesium is a perfect remedy for anxious dogs as it has a calming effect. Potassium is a much-needed mineral for proper functioning. It has a strong reaction to water. That means that potassium can produce positively charged ions that can conduct electricity – only when gest dissolved in water. Potassium is one of the most important minerals a living organism needs for proper functioning. This mineral is actually called an electrolyte because of its high reactivity with water. This means that when this mineral gets dissolved in water, it produces positively charged ions that allow it to conduct electricity. In addition, more than 90% of total body potassium store is easily found in the body’s cells. 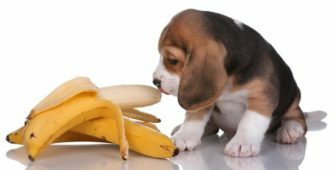 Potassium is great for the overall health of your dog. Potassium regulates fluid balance, activates nerve impulses, keeps muscles and heart under control. Iron is crucial when it comes to developing red cells. Anything lower or above the standard balance can lead to a number of issues. Iron is necessary for a number of enzyme functions in the dog’s body. Iron helps your dog to stay in shape. Lack of iron in your dog’s blood can lead to anemia. 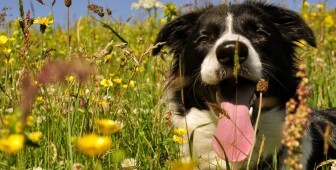 Calcium is one of the most important minerals in the dog’s organism. Calcium plays a big role in developing and maintaining the teeth, skeleton, heart and hormonal functions. Furthermore, calcium helps with cell signaling, blood coagulation, and muscle contraction. Yams are low in fat and that’s one of the biggest reasons why pet owners love this food. This fact is the most needed for dogs that have some health issues. For example, dogs that suffer from fat intolerance, weight loss or often diarrhea or steatorrhea, must eat food with low fat in order to improve digestive problems. A number of vitamins have the same function once absorbed into the bloodstream. Manganese helps your dog to absorb and digest proteins that he gets from his food. And even carbohydrates. 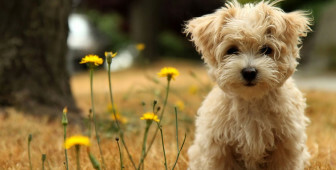 In addition, manganese acts as a catalyst in over 300 enzyme functions in the dog’s body. Some even transmit food into energy. Antioxidants are a relevant factor in maintaining your pet’s health. They are super beneficial. They fight the effects of damaging free radicals in the body. They are extremely helpful to cats and dogs that have been suffering from allergies or have displayed problems with skin and coat. Furthermore, antioxidants promote immune system activity in young animals just before vaccination. The fiber content in yams is high. That fiber is all natural and even gluten-free. Yams are gentle to the dog’s digestive system so you can give it even to a dog that usually troubles with digestion. However, don’t go overboard and keep the small portions. A huge amount of fiber could have the opposite effect. In addition, yams are a great alternative source of carbohydrates. This combo of different minerals is highly beneficial for your dog’s health. Are Raw Yams Good For Dogs? Overall opinion of experts is to give your dog only cooked yams. Opposite, raw yams or uncooked one can lead to a series of unfortunate events. Risks of your dog eating uncooked yams are just too high to test it. So, what are the risks? Problems are mostly connected with taste and digestion. If you don’t cook yams properly the tuber’s dietary fiber won’t be well broken down. In that case, digestion won’t be easy and natural, and it will lead eventually to digestive issues. Plus, cooked yams taste better. 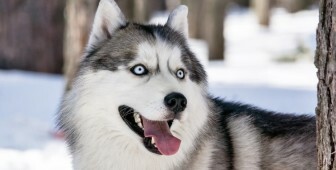 Dogs are known for ‘inhaling’ their food super-fast. Sometimes they eat food without chewing and swallowing, and if this happens with uncooked yams, choking could be real. Furthermore, uncooked yams can block the intestine. That can even lead to death. Make sure to fully understand what raw dog food is good. Quick tip: Remove all the skin before you start cooking yams. In addition, you can even cook in the microwave. Can I Give My Dog Canned Yams? If you manage to find on the market canned yams without sugar you can serve a small amount to your dog. If you do so, make sure to track him some period of time to see if there are any bad reactions and if you should alert your vet. However, canned yams are known for containing sugar and preservatives, which can be extremely harmful to your dog. This applies mostly to canned yams given in large portions. Nevertheless, avoid giving your dog canned yams. If your dog got its paws to yams or you just let it have some, you should make sure that your dog is fine. Not all yams contain tannins (tannin is consider to be one of the most harmful additions in hops that leads to pet death). In addition, if your dog shows any additional troublesome behavior after eating raw yams, call your vet. How To Include Yams In Your Dogs Diet? One test-bite was enough for your canine friend to become an instant yams lover. However, you are not sure how much yams your furry bundle of joy can eat and how to serve yams to him at first place. Luckily, this is extremely easy. Just slice a few ½” coins directly from a raw yam, and boil them. Boil until they become soft enough to put u fork through. Take them out and cool until you can touch them. You can give it clean, without additional food or mash it with a fork and mix with dry food. Bear in mind that food with too much fiber can lead to an unexpected mess caused by gastrointestinal distress. Less fiber is more. 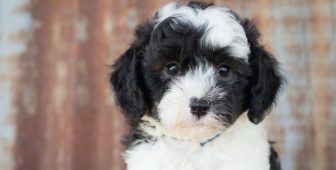 Can I Give My Dog Dehydrated Yams? Absolutely! This is a snack for dog-kings! 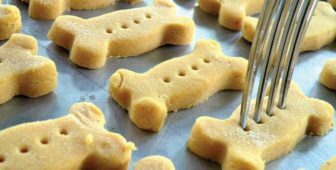 It is easy to make, cheap, safe for your dog and your canine friend will love it. Have a spare Mason’s Jar on the side, and praise your dog with a bite of this dry heaven every time he shows that he is a good boy. Or a girl. 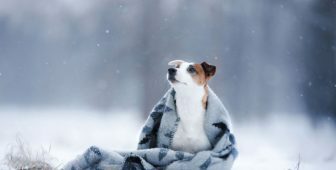 If you prefer to be extra careful when you are introducing a new food, you can let your veterinarian know that you want to add some cooked yam to your canine meals. 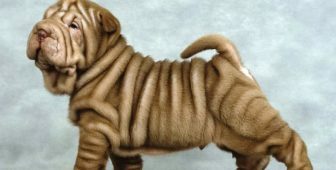 The veterinarian will be able to recommend you the right amount of yam, based on your dog’s size and breed. All in, we can say for sure that yams are healthy and that you can feed your pet with this vegetable. However, always keep in mind that yams should be cooked and not given to your dog in any other form. Raw yam is a big no-no. You need to act responsibly and not expose your dog to any harmful situations, or ingredients. Bear in mind that gives yams in small amounts and watch out for digestive issues. 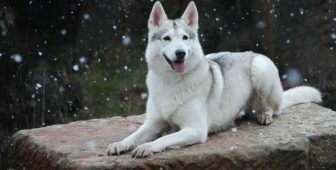 The last but not least, having dry yaw on hand all time is a plus for your dog’s happiness.